Hunter Douglas offers the largest and most diverse selection of custom blind and shades in the industry. 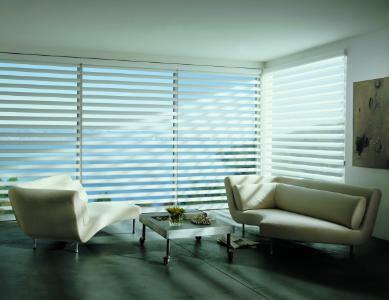 For the very highest quality insist on Hunter Douglas. Choose from traditional to contemporary, from neutrals to bright colours, from smooth to textured, from cords to remotes, from blinds to shades, from horizontals to verticals, from shutters to drapery, Hunter Douglas has a window treatment for every style, application and budget. 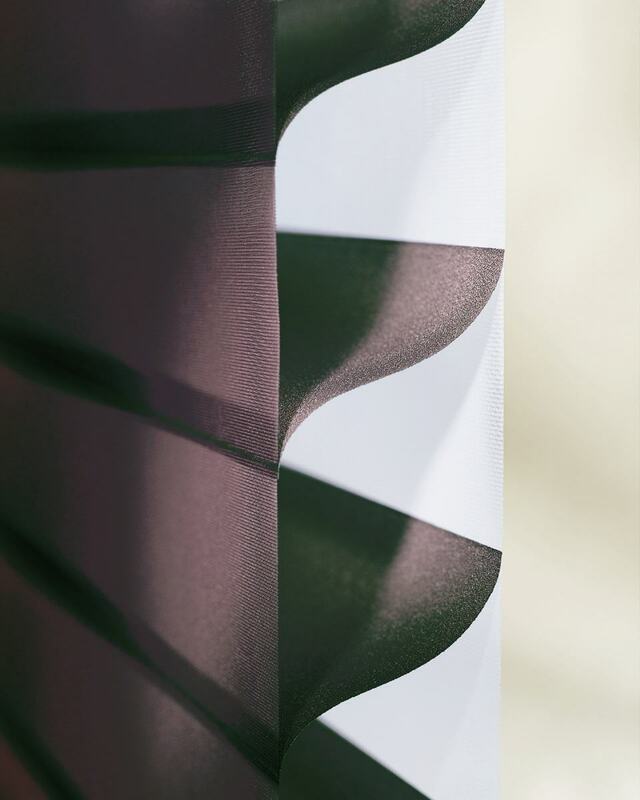 Designed with soft fabric vanes attached to a single sheer backing, making this remarkable window covering a truly unique innovation. Control the light and privacy in a space. 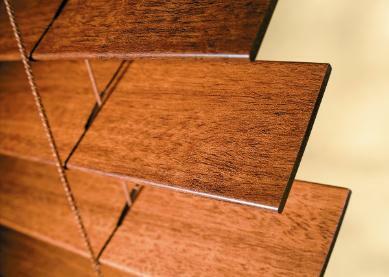 Protect floors, furniture and artwork from damaging UV rays while still having a view and allowing light into a space. Textured fabrics in a palette of delightful colours transform from cascading folds to contoured vanes, allowing a softened outside view through the sheer backing, while also providing excellent ultraviolet protection. Choose the opacity and lifting system that's right for your space. 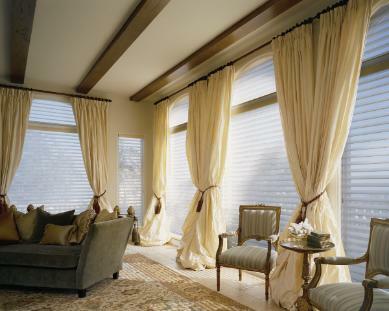 Silhouette Window Shadings feature the signature S-vanes suspended between two sheers. Fully control the amount of light and privacy. Available in 2", 3" and 4" vane sizes and when fully raised, the shade disappears completely into the headrail. Choose from a wide range of colours, textures and the level of opacity. Now available in LiteRise (cordless) so the shade can be raised, lowered and tilted with no cords. Another new option is the Top Down/Bottom-Up with TiltAnywhere option allows the vanes to function in any position. 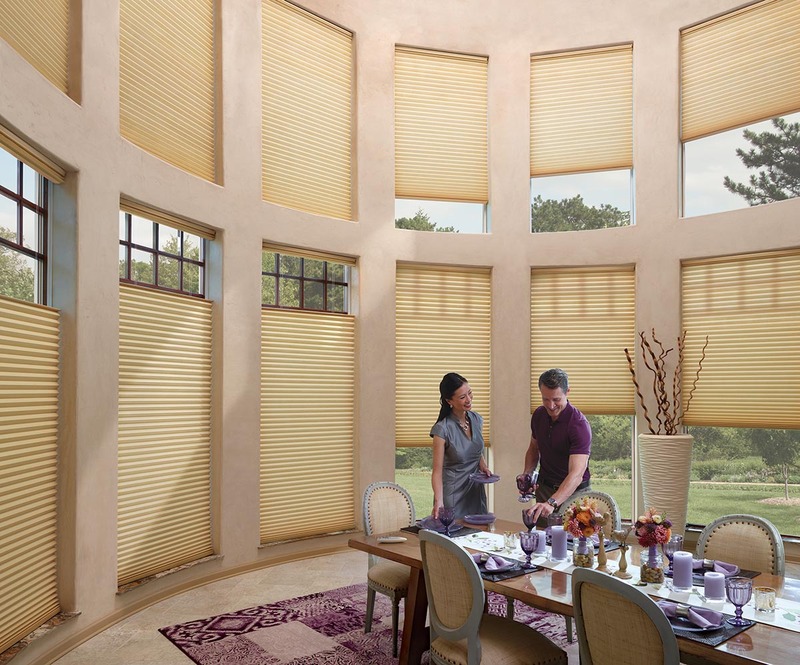 The Duette Architella Honeycomb Shades are stylish, functional and energy efficient. The cell-within-a-cell construction creates 3 air pockets for increased insulation. The excellent energy efficiency of these shades resists heat flow, reduces energy consumption and saves on heating and cooling costs. The Duette Architella shades block 95 to 99% of harmful ultraviolet rays, protecting your floors, upholstery, furnishings and artwork. The TruePleat (R) technology allows the pleat folds to stay consistent, keeping your shades beautiful year after year. Choose from a wide selection of textures, colours, and lifting systems. 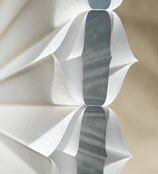 New this Spring 2013, Duette Architella Trielle, with 2 inner cells creating 5 pockets of air! The most energy efficient shade on the market. 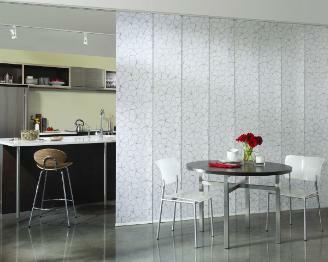 Luminette (R) Privacy Sheers are the ultimate in vertical window applications. The Luminette brand offers two dramatic ways to cover wide expanses - sheers and draperies. 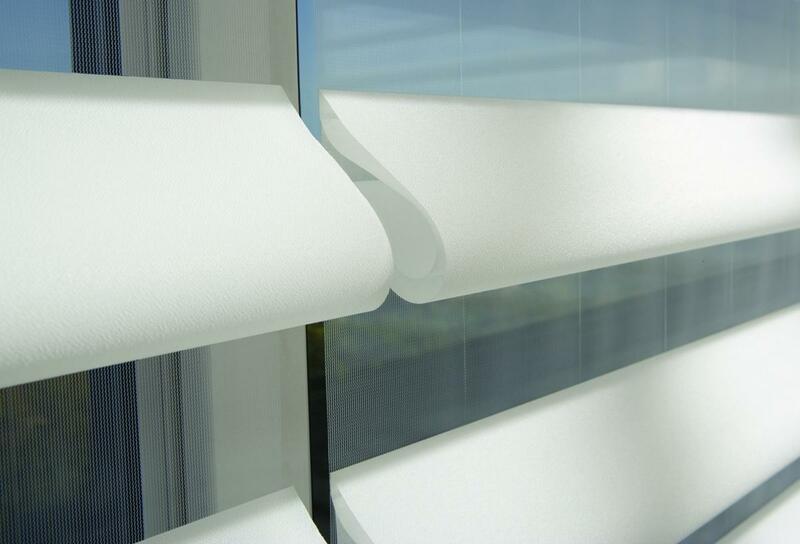 \Luminette Privacy Sheers provide the widest range of light control possible, with a sheer face fabric to let light in and attached soft fabric vanes that rotate to keep light out. With clean lines and a sleek contemporary look, Skyline Gliding Window Panels offer the perfect solution for both large and small window expanses, patio doors and can also be used as a stylish room divider. 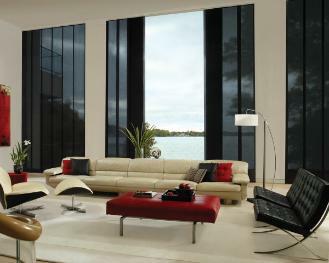 The Skyline Gliding Window Panels fabric selection offers varying levels of privacy and light control. The control and stacking options offer a variety of functional options. All fabrics are GREENGUARD Indoor Air Quality Certified. If you like the luxurious look of the hardwood blinds, yet want something practical for less money, consider the Everwood Collection of Alternative Wood Blinds, available in 2" and 2 1/2" slats. Offering a wide range of colours and TruGrain textures, it's easy to find the right one for you. Now available with the De-Light feature at no extra charge, there are no pin holes letting the light through. Choose from standard lifting system, Literise, or PowerTilt. Backed by the highest warranty on the market, the Everwood blind is guaranteed by the Performance Plus Protection against fade, yellow, warp and bow. Perfect for kitchen, bathrooms and anywhere where there is high humidity or sunlight.